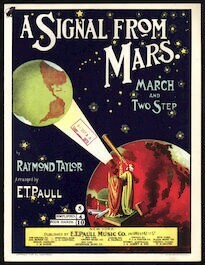 The cover of A Signal from Mars: March and Two Step, shows the rather civilized Martians relaying a piece of music to earthlings with the use of a spotlight. As featured in Messages to and From Outerspace. A signal from Mars. 1901.Music Division. The Library of Congress. I spent about 60% of my work hours last year selecting a thematic collection of 330 cultural heritage objects and interpreting and explicating facets of those objects in a set of 18 linked essays. I had a style guide for questions of grammar, and the HTML structure of the layouts were rather straightforward. However, I realized rather quickly that if I was going to do this consistently I should put together my own set of guidelines for the actual structure, function and style I would use for approaching this writing project. Nothing about this is formal or official or anything like that. This is just my own personal notes, thoughts and reflections that informed how I approached framing the work. An online only interpretive presentation of representations of cultural heritage objects is something of a chimeric creature. 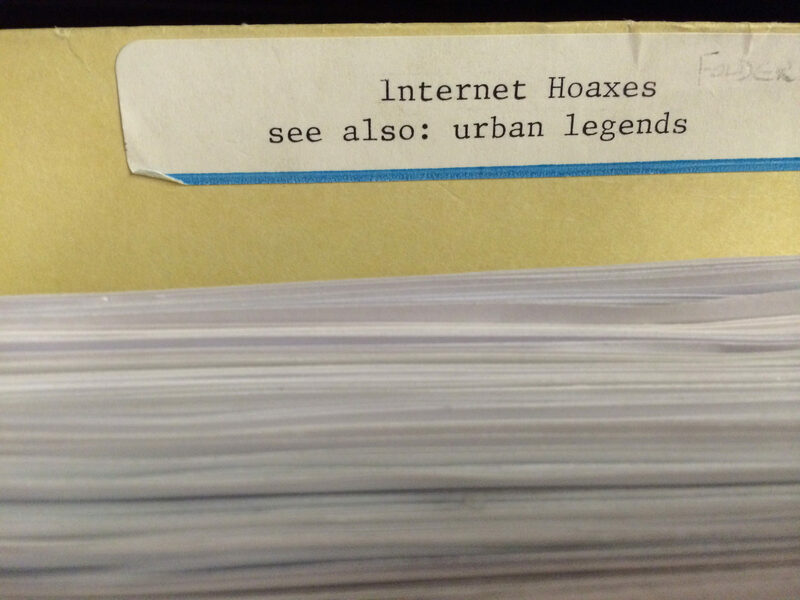 It’s the sort of online collection/interpretive material that all kinds of folks develop when they use platforms like Omeka—ticky-tacky interpretive analytical writing and explication alongside a massive pile of related historical primary sources for users to go out and explore on their own. Part Exhibition: It’s purpose is similar in purpose to a physical museum exhibit, except that the restraints and benefits of physical space are absent. For example, an online exhibition can sprawl out forever, but you lose out on the quality of “being there” in the presence of “being there with the artifacts. Part Illustrated Publication: As text and images on a web page, they are also like those “illustrated history” books, where one works through a linear narrative but can stop off to read detailed information about an image. In this case, the similarity falls off in that hypertext provides a much more networked and connective potential structure for an online text. Furthermore, while people do skim books, web reading is fundamentally different. Part Expansive Collection of Sources: Where you only have the space to show an image on part of a page in a book, and there is a limit to what you can display in the physical space of an exhibit on the web you can provide links out to every page in a draft or the whole audio recording. All Hypertext: Ultimately, I think the most precise term for what these things are is hypertext. A term that sadly fell out of vogue with cyberspace a while back, but a term I think is worth going back to as HTTP is itself the defining logic and form of the web. I had some web writing information to work with, but I ended up working up my own style guide-ish set of rules to work from for putting together these pieces. What follows is my rundown of rules (most of which I didn’t break much). As such, the intention of this set of guidelines was to try and take the ideas of exhibition and print publications that make extensive use of deep captions and figure out how they fit into the way the web writing works and people engage with the web. I feel like these served me well, and figured others might be interested in them. I’d similarly be interested in comments/discussion of these. Every narrative page stands on it’s own: The web is not a physical space and you have no control over what page someone will see first. The result of this fact is that a well conceived online exhibition narrative page needs to stand on it’s own. That means it needs to have a compelling title that includes key terms in the page, and that the text of a page cannot assume that a reader has read any other text in the exhibition. Every page is effectively the first page/front door for some set of potential users. It’s critical that the page stand on its own and invite users for further exploration at every turn. Every caption should explicate/interpret the image/object presented. Images, audio and moving image content needs to be captioned in such a way that the captions explicate and interpret the items. It is not enough to simply say what something is but to scaffold a visitor into seeing what is important about the artifact in this context. Ideally, the way the object is presented/cropped/edited suggests part of this, that is helps to actually show and not just tell. Part of the purpose of presenting these objects is to demonstrate reading and interpreting them. As such, they should not be extraneous. For example, if one want’s to include a portrait of an individual one should not simply say it is a portrait of them. It’s necessary to suggest points in the work to read, like the way they are drawn or items they are holding and how those communicate something about how that individual is being represented in this case. Object captions should always stand on their own: The captions for objects presented should also stand on their own. Web readers skim and make use of images as a form of visual headings. As such the captions for those images should make enough sense on their own that visitors can use them as a different index to the content of the page. A new heading should break up text after every few paragraphs: Again, Web writing is different from print writing in that web readers are far more likely to skim content. Good and frequent use of headings makes it easy to skim text and further hook readers to dig into the narrative content. Think more Associated Press style and less Chicago Manual of Style. An image from an item should always be visible as one scrolls through the page: The goal is showcasing the objects, so there should always be items from the collection visible on the screen at any given moment. This focuses attention on the items while also making the page easier to explore and read. Note: This is a particularly vexing thing to deal with in responsive design for mobile devices. I’d be curious for ideas about how this point should change in a mobile situation. Each page should be in the long blog post sweet spot–700-2000 words: This length makes them substantive enough to tell an interesting story and make a few important points but keeps them from being too long that they are difficult to briefly explore. If a piece is getting significantly longer than this it could likely be broken into smaller individual pieces which would have the benefit of creating another page that serves as it’s own point of entry into the exhibition. Hyperlink text for connections and emphasis: Each two paragraphs should have at least one hyperlink connecting to an important concept in another section of the exhibit. The links underscore what matters in a given paragraph and make it easy for visitors to chart their own path through the exhibition. This is the primary power of hypertext as a medium. Think of how rich a Wikipedia page entry is with links. The goal of this, and many of these guidelines, is to create a fertile network of connections that can spur the ability for someone to get lost in the content much like people do with Wikipedia. Ideally, item pages will record essays that link to them too, making each item itself into a potential point of entry to the presentation. Links should connect consistently connect out across subsections : Each page in the exhibit should ideally include at least one hyperlink to a page in a completely different section. Silos are bad, and history is not a straightforward progression of events. If you think different thematic sections of an exhibition are coherent enough to hang together there should be connections between individual pieces as you go. Show parts of items, link out to whole items: Unlike a physical exhibition you are not limited by the size of a frame, showing one page in a book, or putting a video on loop and hoping that people will stick around for it to come back again. Good exhibition narrative pages direct a visitor’s attention to features of items that are particularly interesting in a given context, but ideally that user is just a click away from looking at the whole of a work, or seeing things next to a given letter in a particular folder. 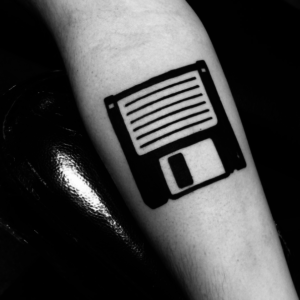 There will be cases where this is impossible as either a strain on resources to digitize, or for rights reasons. With that noted, the ideal is to put up as whole a copy of any primary sources that can be integrated in their own right and not to simply crop photos to frame to illustrate the narrative. Are there things you would add, refine, or take off the list? Do you have any suggestions for other kinds of guidance that is worth integrating with this sort of thing? What thoughts do you have about how this sort of thing would change given different potential audiences? In short, I’m curious to hear what you think of all of this. I like your resurrection of the term”hypertext” because it still applies for things like a “mixed media” piece of writing on the web. This term might also help to distinguish it from writing on the web that doesn’t actually make much use of the hyper textuality of the web itself. I think you have a good set of guidelines, but I want to add in one, that isn’t usually part of a typical online exhibit: outside links and sources that are not the collection objects. You mentioned linking within the body of work to connect different sections, which is logical and creates continuity in a form that is designed to be modular. But, what about the secondary sources you’ve used to help contextualize your objects, or the additional primary sources that complement the materials? This is something I’ve struggled with. For presentation, footnotes are too academic but they offer the trail of sources. And a hypertext calls for backtracing and encouraging inquiry. You could link to a source in a Zotero library, which can work when an a digital version is not available. Or, include a Zotero library with sources, offering less direction to your audiences. One reason to worry about that is to be sure we are constantly revealing that the knowledge presented is an interpretation…trying to retreat from didactic voices when we can. Great point Sheila! Something like references, or a bibliography is very relevant. When I started working on the essay sections for it I was planning on including references at the bottom. It ended up getting a bit complex to keep working in an accessible fashion. That is, laying out the interpretive “here is a way to read/juxtapose these sources” part alongside the “here is how this fits into a range of historiographic interpretive perspectives” is tough. I ended up staying away from footnotes, but at this point I think there are some great conventions for just working with anchored links to the bottom of each page to get to those kinds of notes. This is a very-nicely thought out set of guidelines, Trevor. I particularly like your emphasis on hypertextuality. I do have one suggestion, though. Hyperlinks rot, for a wide variety of reasons. It’s genuinely helpful to know not only the address to which the link pointed, but what was once found there. Lately, when I embed hyperlinks, I’ve been using the title=”” format to create mouseover text, and putting a full, print-style citation in the field. If the link still works, most people will ignore it. But it lets readers see where they’re going to end up without actually clicking, which is courteous. And it makes it much easier for them to locate the linked source, if the link breaks. It’s also less clunky than footnotes, or even a set of anchored links at the bottom of the page. I’d really love to see this adopted as a universal standard for scholarly work – whether in digital exhibitions, publications, or collections. If it’s worth including a hyperlink, it’s worth describing that link with more than the URL. Thanks for that response, Trevor. It gives real food for thought. URLs that encode information about the resources to which they point are fabulous, and as a best practice, ought to be encouraged. And fortunately, the two approaches are complimentary – there’s no practical bar to doing both. But even so, I still think we need print-style citations in mouseover texts. For one thing, not every resource to which one might link in a digital exhibition is going to be housed within the institution. It may be posted somewhere else, with a non-legible URL. For another, there are no broadly accepted standards for formatting such URLs. The Library of Congress does it one way, but other institutions have their own architectures. Mastering all of them is a challenge even for educated readers, and they’re likely to be all but opaque to casual users. The utility of print-style citations is that most folks already know how to write them and how to read them. They’re fully backwards-compatible with earlier scholarship. Committees have already hashed out lengthy style guides for dealing with most possible types of resources. And they can direct readers to resources that are offline as well as online. 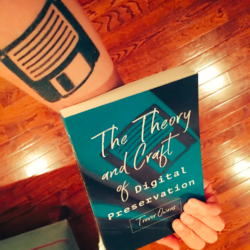 If an average user encounters a broken link to a scanned copy of an old book that includes a LCCN, will she actually be able to use that to track down a copy of the resource? Wouldn’t it be simpler if she had the author, title, publisher, and year right there in the mouseover, so that she could go pull a copy from her local library that uses the Dewey Decimal system, or find it on Amazon? You’re right that the hassle of doing this is a real bar to adoption. I’d really love to see footnoting software like Zotero or Endnote, or digital exhibition software like Omeka, include an ’embed hyperlink’ function that would insert both the hyperlink and a full bibliographic citation into the title field. Once this can be done with the click of a button, I think it’ll solve a lot of problems. But part of what’s exciting about this moment is watching these different approaches unfold, and the simple fact that you’re broaching the issues and proposing ideas is propelling us closer to adopting solutions.